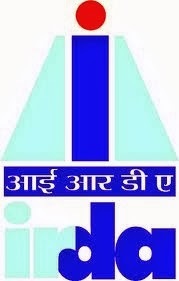 The Insurance Regulatory and Development Authority (IRDA), on Monday, issued a circular deferring the product re-filing deadline for life insurance companies by three months i.e. from October 1 to January 1, 2014. Now, the life insurance companies can sell their existing products till December 31, 2013. The regulator had extended the deadline because the Life Insurance Council and Life Insurance Corporation (LIC) of India had earlier sought an extension of the deadline. In case of not extending the deadline, the life insurers would have been able to offer only fewer policies; as most of the insurers had filed products with new regulations only in the last week of September. This may lead to a slowdown in sales of life insurance products. “We have decided to give an extension of three months. We realise that these are productive months for insurers. All 24 insurers have filed their products but most of these products, particularly that of the Life Insurance Corporation of India’s came to us in the last week of September. So we have decided to give an extension,” said Sri Sudhin Roy Chowdhury, Member Life, IRDA. Although, there is no extension of deadline on highest NAV guaranteed products. Insurers will have to discontinue these products from October 1, 2013, Sri Roy added. As per the new guidelines, life insurers will not be permitted to offer guaranteed highest NAV (Net Asset Value) products in the unit-linked segment. In the case of unit-linked products (ULIPs), life insurance companies will need to inform customers about changes in the yield every month. The regulator, through the new norms, aims to make insurance products more customer-friendly and to curb product mis-sellings.